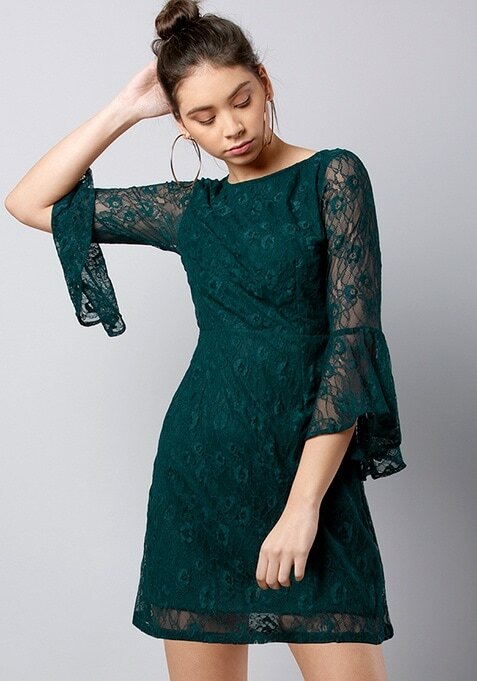 We are obsessing over laces and this green dress is our hot favorite RN. Featuring floral lace, this dress has three quarter sleeves. Work It: Team this dress with barely-there heels for a luxe look.